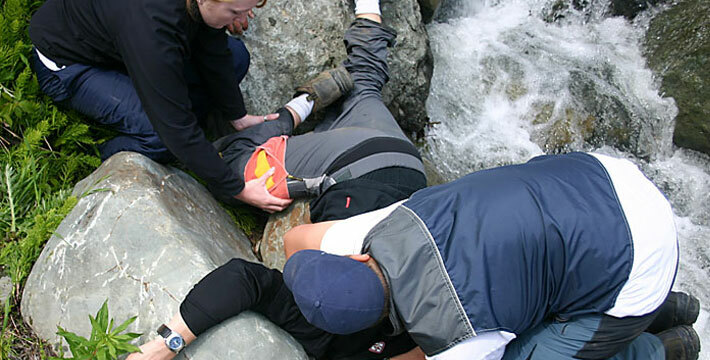 The Non-Urban Occupational First Aid (NUOFA 3) course is a training program developed by Peak Emergency Training and designed for professional (paid and volunteer) non-urban responders such as ski/bike patrollers, search & rescue technicians and guides who are tasked with providing advanced emergency medical care to clients and workers. 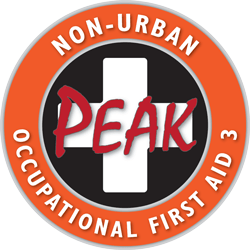 The Non-Urban Occupational First Aid 3 (NUOFA 3) is a multi-level government accredited training program that meets the criteria as a 110 hour training standard. 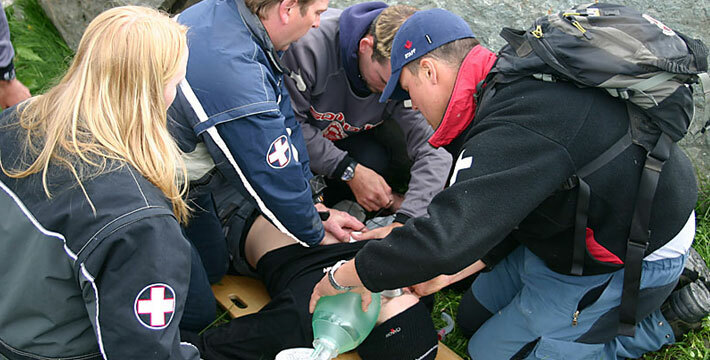 The program curriculum is a synthesis of the baseline knowledge and skills development objectives contained in the Non-Urban Emergency Care 3 (PEAK) and Occupational First Aid Level-3 (WorkSafe BC) courses and is based in part on the Outdoor Emergency Care 5th textbook (Pearson Education) and elements of PEAK's Advanced Protocol Training Program. Specific NUOFA 3 program modules address the injuries and illnesses that non-urban responders are likely to encounter, conditions that are typically not addressed - or lack the necessary depth - in other first aid training programs. 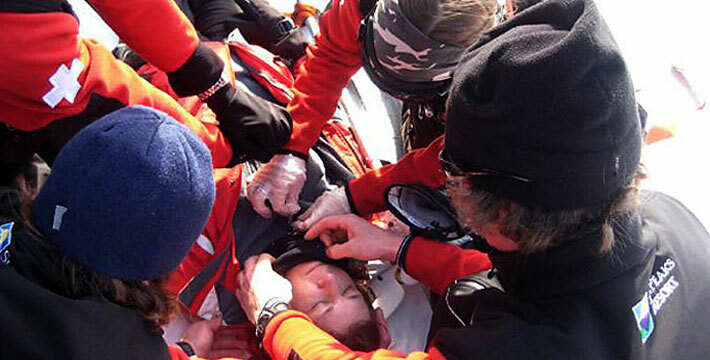 Some specific training subjects included in the program are: high-altitude and cold/heat related illnesses, disabled skier related injuries, paediatric emergencies, medical emergencies, treatment for drug and alcohol abuse, specific snow-sport injuries, behavioural emergencies, remote area extrications and evacuations, non-urban cardiac arrest management, and the use of the specialized equipment needed for emergency care and transportation in remote environments. NUOFA 3 program certification is recognized by regulatory authorities throughout Canada at the 'Advanced First Aid Training Level' standard. 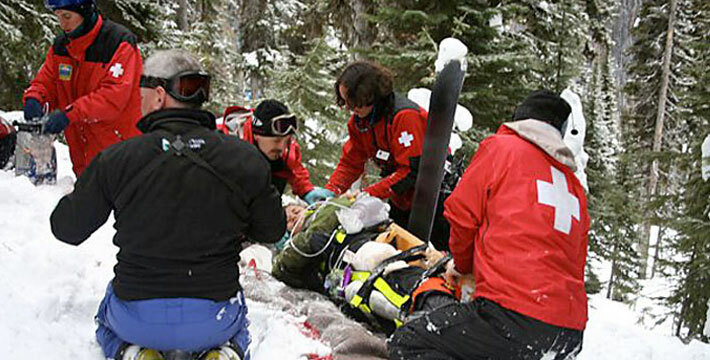 These include (but not limited to) the BC Provincial Emergency Program, Heart & Stroke Foundation of Canada (in-part), the Association of Canadian Mountain Guides, Canadian Ski Guides Association and the Canadian Athletic Therapists Association and many others. As well, many BC mountain resorts and/or search & rescue teams have adopted the NUOFA and NUEC training programs as their preferred first aid qualification for their membership. After reading all the information on this page, please click here to register directly with the course provider, Peak. It is your responsibility to make sure you meet the pre-requisites listed. Call Amy on +1 (866) 929-3539 or e-mail info@flexpeditions.com for more info! CERTIFICATION MAINTENANCE - NUOFA 3 Providers are required to attend, every calendar year, an Annual Skills Update (ASU) course (click here for further information regarding ASU courses) and in addition are required by WorkSafe BC to successfully complete an NUOFA 3 Review & Evaluation Course every 3 years. Student candidates for the PEAK NUOFA 3 program may already possess certification in other first aid and medical training programs. For those candidates with demonstrated proof of certifications(s), PEAK has developed a specialized training program: the NUOFA 3 Bridging Course. The NUOFA 3 Bridging Course has been designed to adapt and upgrade a candidate's previous skills and knowledge base to manage the emergency medical care problems encountered in the non-urban environment. Prospective NUOFA 3 Bridging Course candidates must complete a Prior Learning Assessment and Recognition (PLAR) application to determine eligibility for admission to the NUOFA 3 Bridging Course; click here to complete the on-line PLAR. 4. Previous (not to have expired greater that 2 years) &/or current certification in an accredited training program that meets that meets or exceeds the 'Advanced First Aid' training standard & that is recognized by PEAK, such as but not limited to: OFA-L3, EMR, PCP, CSP, etc.